High fructose corn syrup is something that many people know about and want to avoid as much as possible, but a lot of them are confused as to why it is bad for them, as well as how widely it is used. 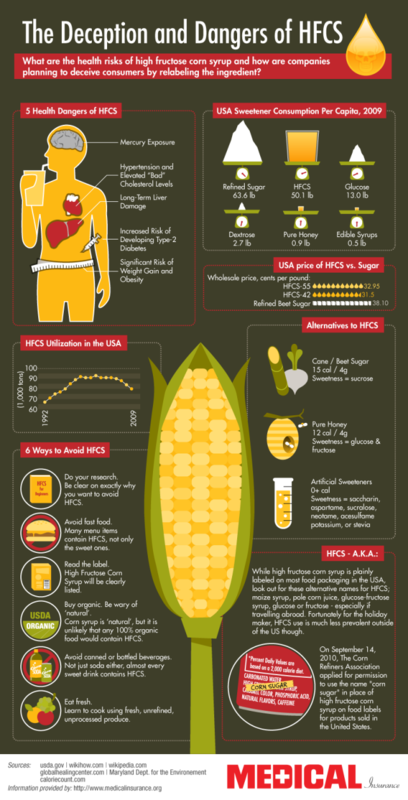 This infographic presents all the most important information about high fructose corn syrup, what it is, the effects it can have on a person’s body, and more. The phrase “corn sugar” is often used instead of “high fructose corn syrup” on packaging in the U.S.
After checking out this infographic, you will hopefully be better educated on the specific dangers of high fructose corn syrup and learn a few paleo alternatives to it that are healthier.